I have made candy coated popcorn for a couple of different holidays. Throw some red and green M&Ms in and it is perfect for Christmas. Pink and red and you have a fun Valentine's Day treat. Add candy corns and it is perfect for your Halloween party. 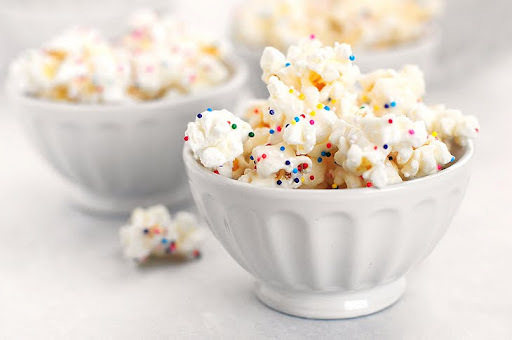 So why on earth I never thought of throwing some colorful nonpareils into the mix and creating party popcorn I will never know. Luckily Amy did and you can get the party popcorn recipe over at She Wears Many Hats.